Texas Hold&apos;em Poker is a 7 card game. All players are dealt 2 Hole Cards each (personal cards) and 5 Community Cards (shared cards). Each player has to try and make the best possible 5 card poker hand out of the total 7 cards available. The player with the best cards wins during the showdown. 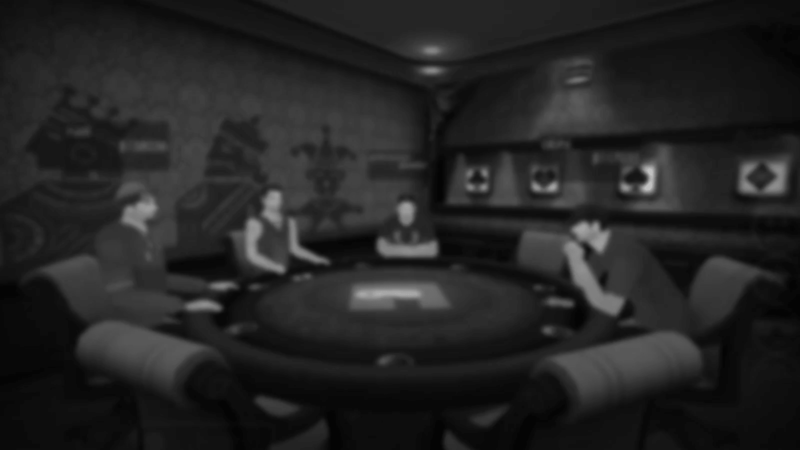 Players join a room to play Gamentio Poker based on the value of the Small Blind and Big Blind they wish to play with (e.g. $10/20, $20/40). Incase of players, who choose to Play with Points these stakes are represented in Gamentio Points (Ǥ), whereas for players who choose to Play with Chips these stakes will be denoted in the form of Chips. Dealer Button: Once you are seated at the table, the player to the left of the Dealer posts the Small Blind (denoted by the appearance of &apos;&apos;SB&apos;&apos; on top of the player) and the player to the left of the Small Blind posts the Big Blind (denoted by the appearance of ''BB'' on top of the player). This is a type of compulsory bet in the game of Poker and is posted automatically while playing on Gamentio. The dealer button rotates clockwise around the table. Please keep in mind, that if you&apos;re joining a room where a game is already in progress the Dealer button will continue to move clockwise around the table. Pre-Flop: The Dealer deals Two Hole Cards (private cards) to each player at the table. This round of betting is known as the Pre-Flop. The betting starts with the person sitting to the left of the Big Blind. Players may either Call, Fold or Raise. The round comes to an end when all the players have acted. Flop: The Dealer, deals out Three Community Cards. These cards are dealt face up and are visible to all the players at the table. This round of betting is known as the Flop. Players again place their bets, this time the first person to place a bet is the player who posted the Small Blind. Betting then moves clockwise around the table. From this round onwards all bets are placed in this order until the end of the Hand. Turn: After betting on the Flop ends, the Dealer deals out a Single Community Card. It is called the Turn and again, based on the cards dealt so far and intuition, players place their bets. Once all the bets on the Turn are clocked in, the next round commences. River: The dealer deals out the Final (single) Community Card, known as the River. This connotes the final round of betting for the Hand being played. Players place their final bets and prepare for the Showdown. Showdown: Only the Active Players enter a Showdown. A showdown is the most exciting part of any Poker Hand. This is when the cards of all the Active Players at the table are revealed to everyone. The player with the best hand is declared as the winner and is entitled to the Pot. However if all but one player Fold, the remaining active player is declared the winner by default. This player&apos;s cards are not revealed since no Showdown takes place. He/she is directly awarded the Pot.